February is almost perfect in terms of weather in Bangalore. Sunny mornings and cool evenings encourage you to stay in a good mood throughout. 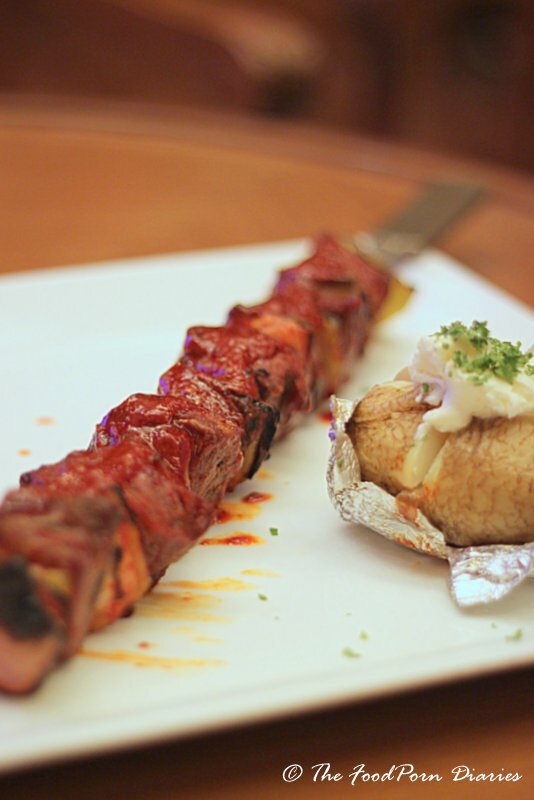 What February also encourages you to do, is dine al fresco and savor some wonderful Global Grills at the perennially classy Polo Club at The Oberoi. Polo Club offers you classic Club seating with leather upholstered sofas and wooden floors, but because it’s February, I suggest you make yourself comfortable in the cane chairs that line the portico. A cocktail here is always a welcome prelude to any meal and they have a large (and interesting) selection. 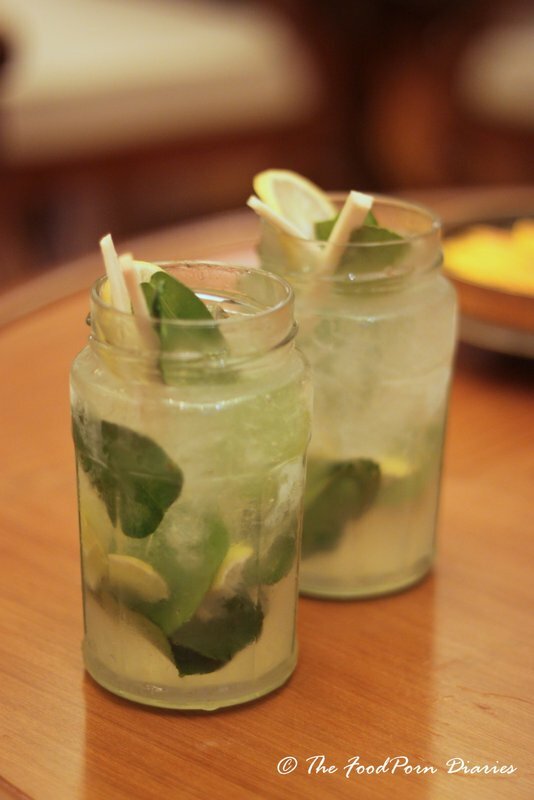 Try the Genie in a Bottle – a clean and crisp vodka cocktail with lemongrass and kaffir lime leaves. 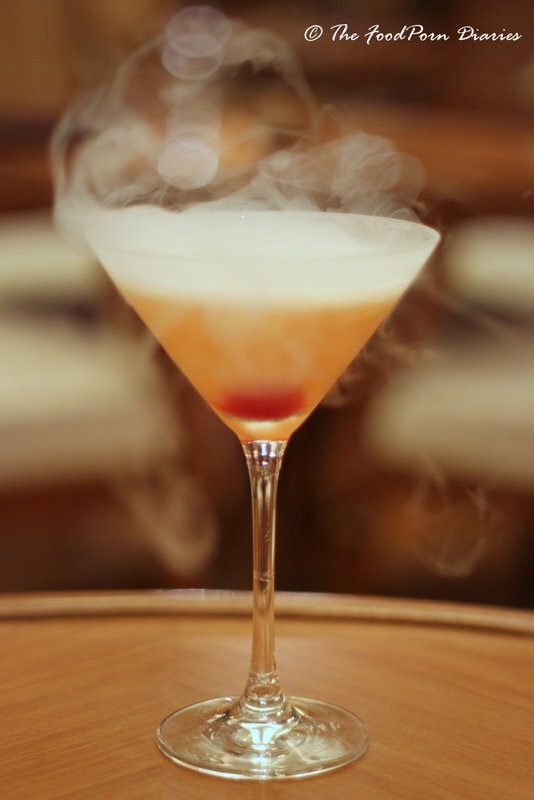 Or get a tad more adventurous and opt for the Earl Grey Martini – the hit of orange marmalade brings a completely different dimension to the tea based cocktail. This one begged repeat orders and not just for the horseplay with the liquid nitrogen. The Grills menu reads like a dream – Scottish Salmon, Rock Lobster, Cochin Bay Grouper, Australian Pork Chops and Corn Fed Chicken to list a few things that caught my fancy. I sincerely hope someone takes up the cause of uplifting the Vegetarian Barbeque, till then, vegetarians need to be content with just two choices here – A Teriyaki Shitake and Tofu Grill or A Barbequed Vegetable Skewer. Chef Gautams expertise with the grill was evident in the menu creation as much as the finesse with which he primed and executed each main course. We tried a sample platter of the various grills and right off the bat, I can tell you that you are in for a treat. Spicy Harrisa made for a perfect marinade to compliment the natural sweetness of grilled Tiger Prawns. The Scottish Salmon, exquisite in itself, was uplifted with the sweet-savory Teriyaki marinade. 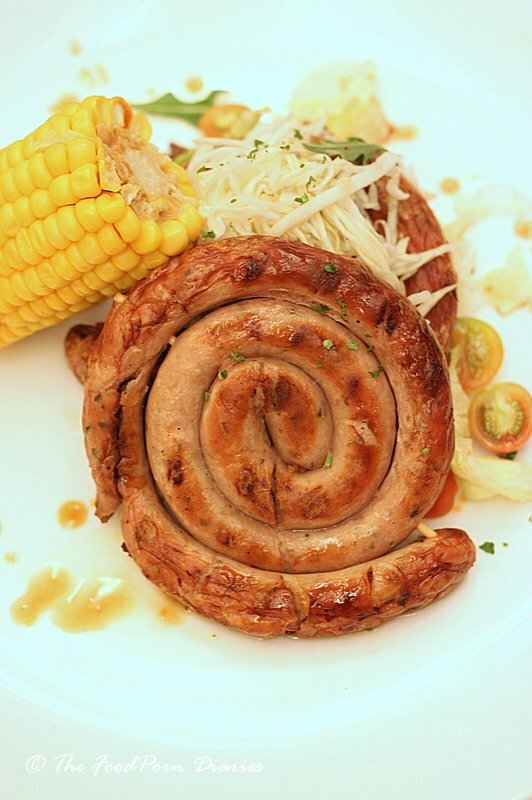 The Spiral German Sausage was bursting with flavour and even the Spring Chicken found its place, with crisp skin and juicy meat swathed in a Barbeque sauce. The medal of honor went to the Twice cooked Pork Belly with the classic Mustard and honey glaze. 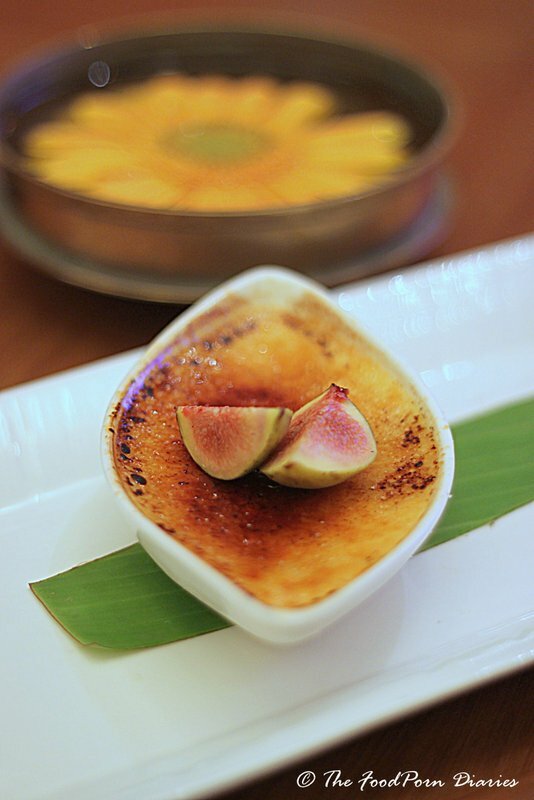 Tender and luscious with a caramelized exterior – this one had us at hello. All grills are served with a choice of mashed or baked potatoes and a choice of grilled vegetables or creamed spinach. You can also choose to compliment you grill with a Greek/ Ceaser or Mesclun Salad. Desserts of course are mandatory and though the Belgian Soft centered Chocolate Pudding is the star, the Orange Crème Brulee is flawless. Pick either or both – Spring calls for celebration. 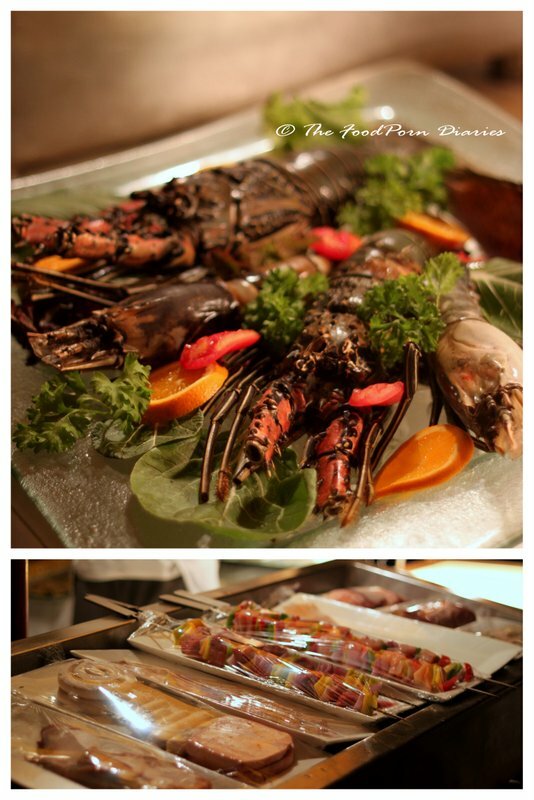 The Global Grills festival promises you delectable grills, courtesy Chef Gautam, till the 28th of Feb. Dining under the stars, live music, aromas of sizzling meat on the grill, delicious entrees and heady cocktails check all boxes for a perfect spring evening.